Google Assistant is Google’s attempt at taking on Amazon at its own game. Alexa is super-popular, and while she debuted as part of the Echo and subsequent hardware iterations, third-party hardware makers are also including her in their own wares. 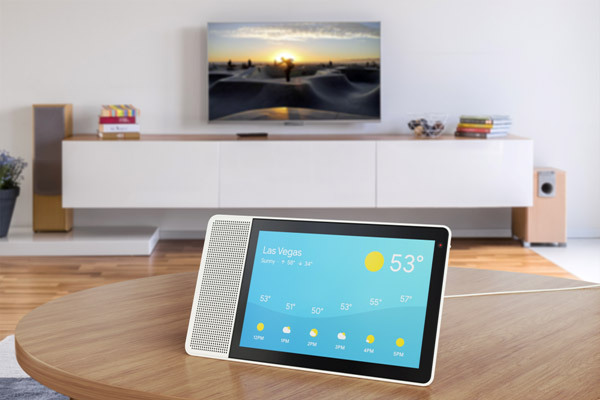 Google has its Google Home competitor to the Echo, and now it also has a version with a screen that will go toe-to-toe with the Echo Show. Or, at least, it has companies making devices that will do just that. While it’s a safe bet that Google will launch its own Smart Display – that’s what it calls screened devices with Google Assistant built in – at some point this year, it’s been left to Lenovo, JBL, Sony, and LG to front up right now. That’s exactly what they’re doing, too, with all four working on devices or even announcing hardware during CES. 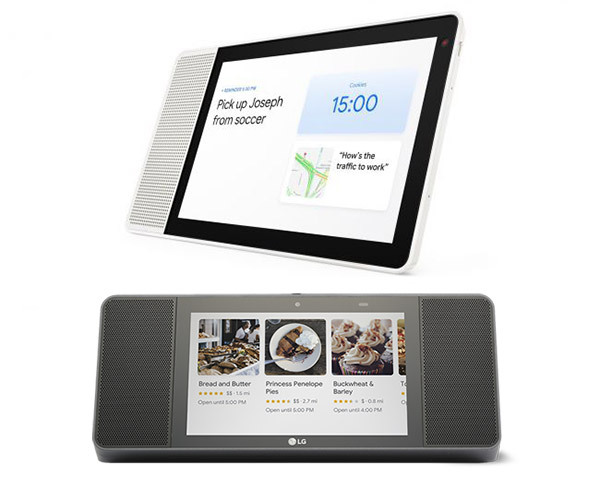 Starting off with LG, we have the fittingly named LG Smart Display. We don’t know too much about it other than that it will be a display with speakers at either side. It looks like a radio alarm clock with a display slapped on the front. What else is there to say? No pricing is available for the LG just yet. Lenovo’s offering looks, well, similar except with just the one speaker. We do know that Lenovo’s Smart Display will come in two versions – one with an 8-inch screen and another with a larger 10-inch one. Interestingly, this Smart Display can be positioned either vertically or horizontally, something the others don’t appear to be capable of. Expect to pay $199 or $249 depending on which size screen you want to buy. 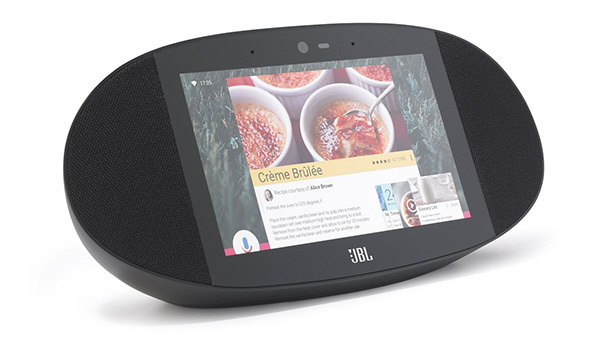 JBL’s Link View is perhaps the funkiest looking of the bunch, and there’s a 5-megapixel camera included above the 8-inch display. Stereo speakers are included too, as well as a passive radiator on the back which is apparently there to enable the “rich, deep bass” JBL enjoys so much. Oh, and this one is splash resistant, perfect for use in a bathroom or beside a pool, for example. No pricing available for this one yet, though. As for Sony, we know that it is working on a device but we don’t even have a photo of it yet. Google says that it is on its way, but that’s all we have. So yeah, Sony. Wooo!